If you clicked on this, it’s not because you’re here to find out who René Redzepi and David Zilber are. You already know about Redzepi’s world famous restaurant, Noma, and its subsequent pop-ups. You already know about his illustrious career — how he changed the entire game with New Nordic cuisine, how he brought new meaning to the word “foraging.” You’ve seen the documentaries about him, you’ve read his books, you’ve followed his every move over the last decade. And you probably already know that Zilber is his fermentation director at Noma — the guy who oversees the restaurant’s now-famous fermentation lab since 2016. No, you’re not here for any of that. You’re here to find out when, where, and why he’s coming to Philly and we’re here to supply you with that information. Redzepi and Zilber will be at the Free Library of Philadelphia on Wednesday, October 24th at 7:30 p.m. 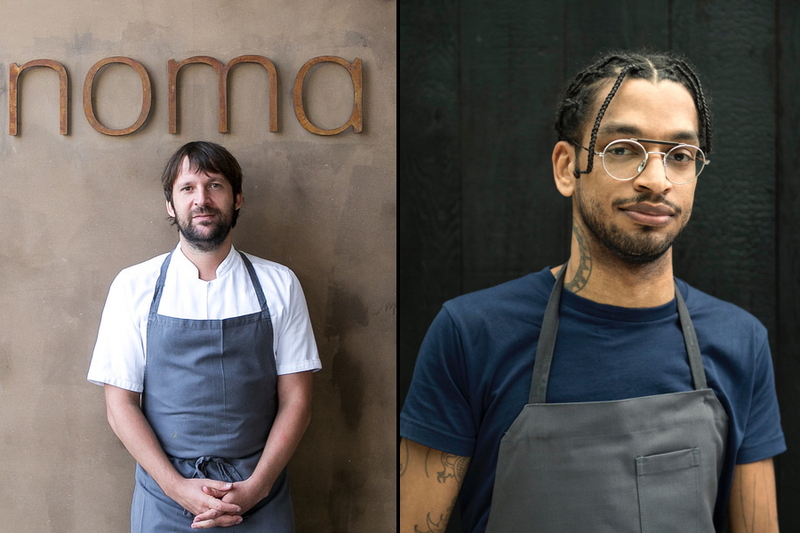 Together, they’ll discuss their new book, The Noma Guide to Fermentation, which, they say, will “inspire people to explore the possibilities of fermentation at home” — Noma-style. Tickets (which go on sale this Friday, September 7th) are $40, which includes a copy of the book. If you don’t mind sharing the book with someone else, two people can get in together for $55. And for all you pickle freaks out there, you can see Zilber again on Thursday, October 25th at Drexel University’s Academic Bistro (seats 100), this time over La Colombe coffee and Federal Donuts with Esquire food and drinks editor Jeff Gordinier. It starts at 10:30 a.m., and price of admission is just $20, and it comes with a copy of the book as well. Buy your tickets here.